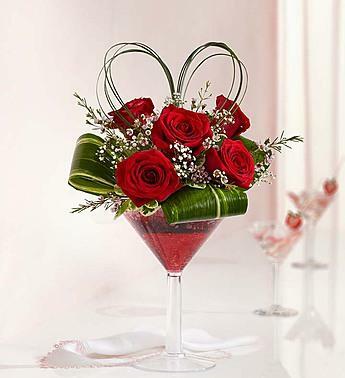 EXCLUSIVE Raise your glass to romance with the perfect "cocktail". 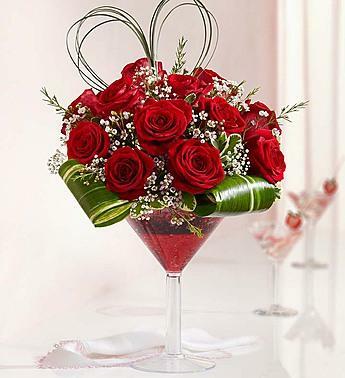 This fun and flirty arrangement, part of our bestselling Happy Hour® collection, features red roses, pink calcynia, heart-shaped bear grass and more in an oversized, reusable martini glass. 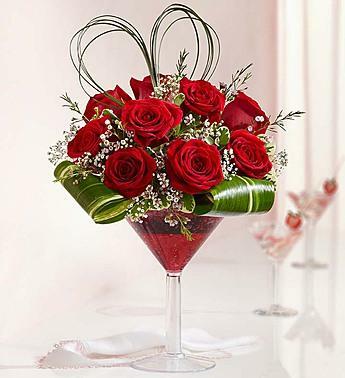 It''s an intoxicating mix to share with friends, family or that special someone you''ve had your eye on.